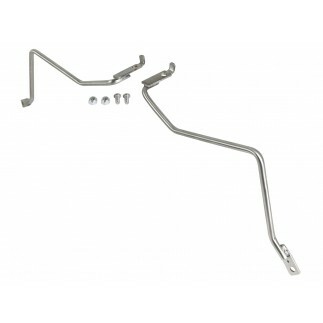 3" mandrel bent, 304 stainless steel tubing outflows and outlasts factory exhaust. Valve-delete design for improved exhaust flow and sound. Includes mounting brackets to retain factory valve motor. Incorporated x-pipe and crossover balance tube to equalize and evenly distribute exhaust pulses reducing drone, improving sound. Dual stainless steel, high flow mufflers finished in high temp powder coating deliver an aggressive exhaust note and long lasting good looks. Retains the factory tips for stock appearance. 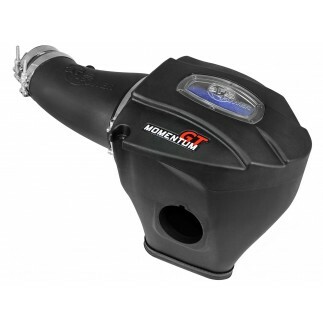 Add more power and sound to your Challenger / Demon with this MACH Force-Xp cat-back system. Dual 3" mandrel-bent, MIG welded, 304 stainless steel tubing with crossover balance tube keeps exhaust flowing smoothly and evenly for power gains you can feel and hear. Dual stainless steel, high flow mufflers finished in high temp powder coating deliver an aggressive, performance exhaust note. This system features a valve-delete design and includes brackets to retain the factory exhaust motor. Factory style clamps are used to retain the factory tips for a stock appearance. 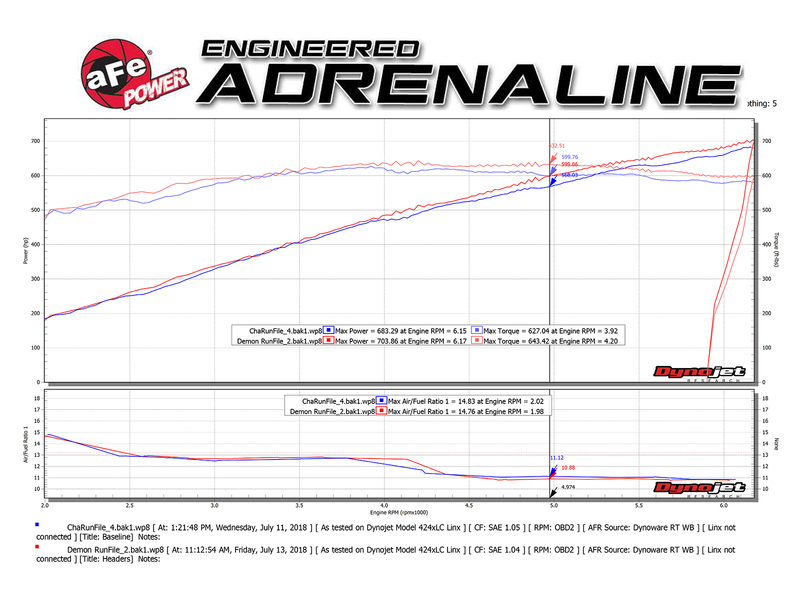 In-house dyno testing produced gains of up to +31 horsepower and +33 lb.-ft. of torque when combined with aFe POWER Twisted Steel Headers (P/N: 48-32012). 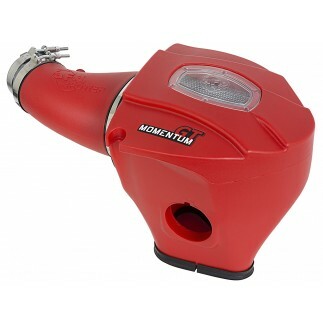 This system does not have valves for improved exhaust flow and sound and utilizes dual stainless steel, high flow mufflers finished in high temp powder coating deliver an aggressive, performance exhaust note while the powder coating finish helps prevent corrosion. Designed to equalize and evenly distribute exhaust pulses reducing drone, improving sound. This exhaust system is constructed of 3" mandrel-bent, 304 stainless steel tubing for maximum flow and corrosion resistance. Outlasts and outflows factory exhaust. This system has been 100% CAD designed to factory tolerances for a direct bolt-on fitment and retains the factory exhaust tips for a stock appearance. Hardware included for a hassle-free installation. 100% MIG-welded for life long strength and durability. 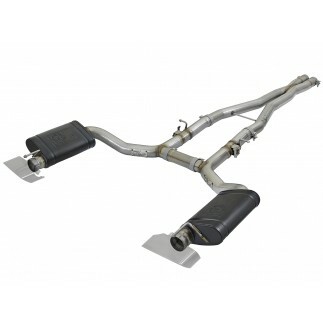 aFe part number 49-82010 (sold separately) is required to make this exhaust system compatible with the Dodge Demon.